“UFC Fight Night 120: Poirier vs. Pettis” takes place Saturday inside Ted Constant Convocation Center in Norfolk, Virginia. UFC Fight Pass streams the first three preliminary bouts live starting at 6:30PM ET/3:30PM PT. Fox Sports 1 will handle everything from there. The remaining four prelims air at 8PM ET/5PM PT. The main cards begins immediately after at 10PM ET/7PM PT. 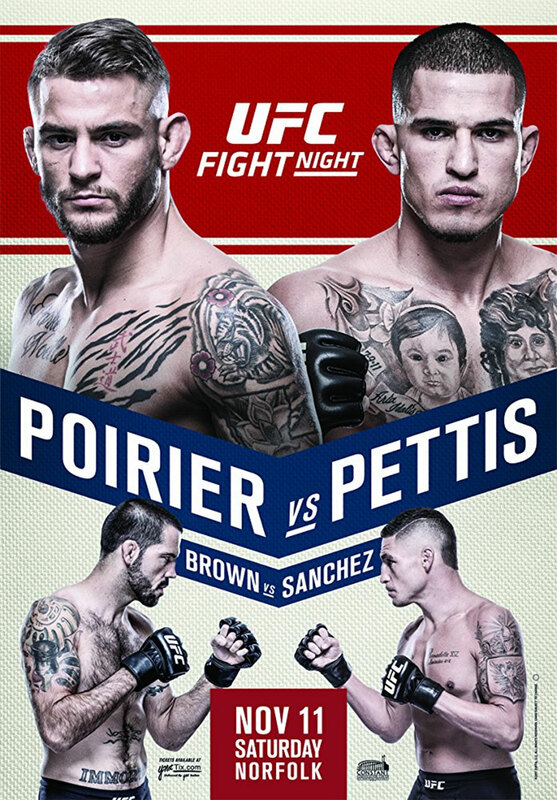 A lightweight scrap between former champion Anthony Pettis and Dustin Poirier headlines the show. Veterans Matt Brown and Diego Sanchez meet in a welterweight affair in the co-main attraction.